More on the Haropa Wood and Black Glass 60 in. 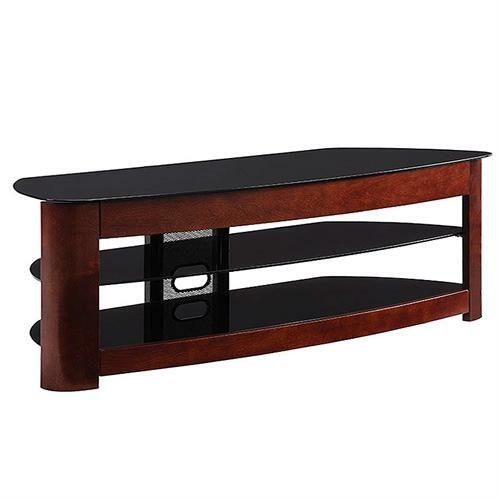 TV Stand (Dark Cherry) HPO2460DC below. Holds Up To A 60 Flat Panel TV. Dark Cherry Finish w/Tempered Black Glass.